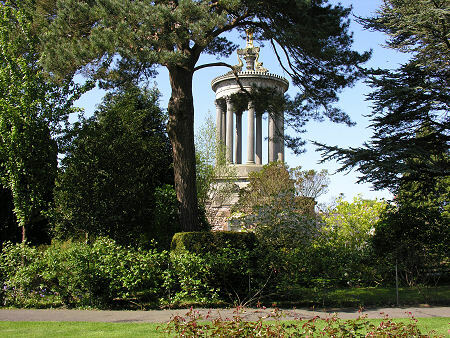 The Burns Monument and Memorial Gardens stand on a sloping site on the north bank of the River Doon overlooking the Brig o' Doon. 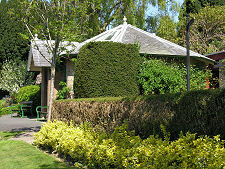 The Monument and Gardens come under the umbrella of the Robert Burns Birthplace Museum. Operated by the National Trust for Scotland, this magnificent museum is well worth a visit in its own right, and it also brings together all the places associated with Robert Burns in Alloway. 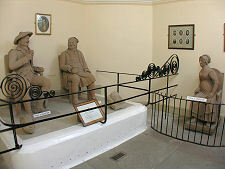 These include Brig o' Doon, Auld Kirk Alloway, and Burns Cottage. 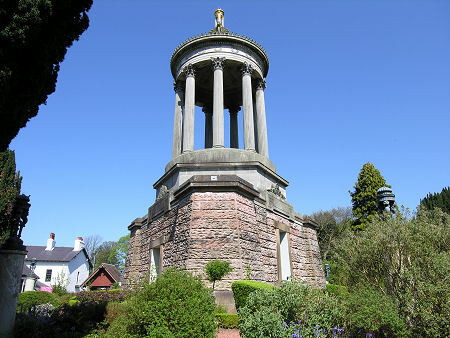 There were already gardens on this site when the Burns Monument was built between 1820 and 1823. It is interesting to note that although Robert Burns died, still a very young man, in 1796, his fame was already spreading widely. 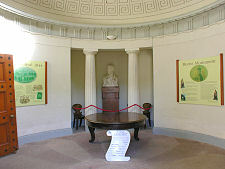 As early as 1814, a committee formed under the chairmanship of Sir Alexander Boswell (son of the writer James Boswell) to discuss the establishment of a monument to Burns in his birthplace, Alloway: almost in a sense of competition with a similar committee which was at the same time discussing the erection of a mausoleum at Burns' burial place in Dumfries. 700 subscribers contributed to building costs of £3,247. The competition to design the monument was won by Sir Thomas Hamilton, whose 70ft high temple of Grecian style is as striking today as it would have been when built. The base of the monument is triangular, with each face looking towards one of the traditional divisions of Ayrshire: Kyle, Carrick and Cunninghame. 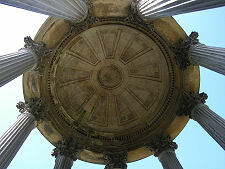 The roof is supported by nine pillars, representing the nine muses of Greek mythology. As you approach the monument, you more than half expect to see a large statue of Robert Burns standing within the nine pillars supporting the roof: and at first the absence of one seems a little odd. All is explained as you enter the monument through a door in its triangular base. 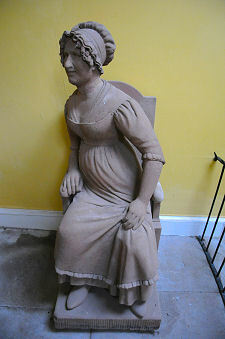 This gives access to a circular room, which within its far wall houses a modest bust of the great poet. 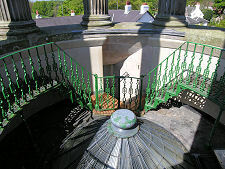 Another door gives access to a set of stairs, which lead up to a walkway around the top of the main body of the monument. This offers excellent views over the ornamental garden surrounding the monument, and of the River Doon below, complete with the Brig o' Doon. When originally built, the monument also gave views north to Burns Cottage, but these were cut when the new Alloway Church was built in 1857-8. 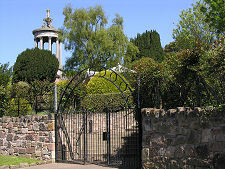 The path downhill from the monument through the rest of the surrounding garden brings you to the Statue House, built in 1832 specifically to house a series of life-size sandstone statues of characters from Burns' work by the self-taught sculptor, James Thom. These remain on view today, and remain every bit as lifelike and naturalistic as they were when originally carved.